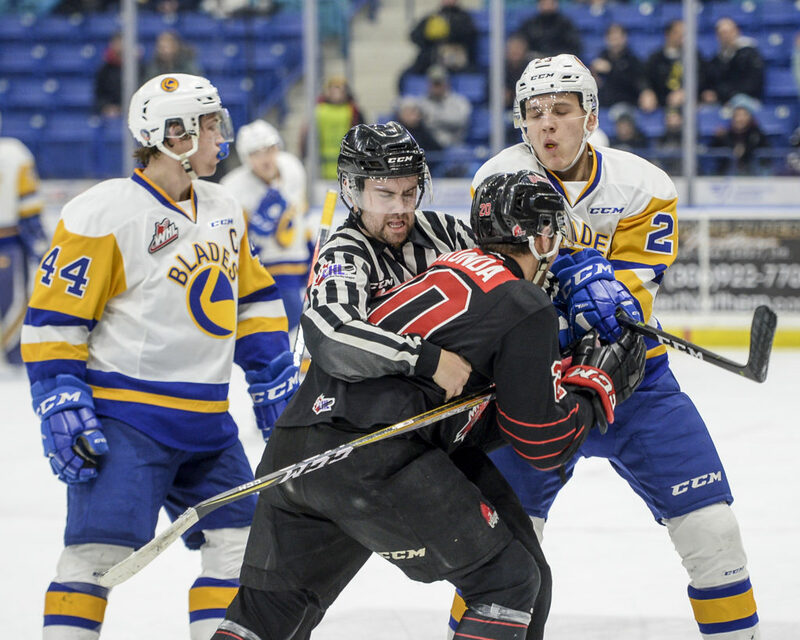 Is most likely a preview of the first round playoff matchup between the Blades and Warriors, and will no doubt have both teams looking to set the tone. 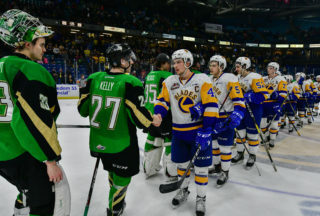 It’s game 5 of a 6-game season series with a chance for Saskatoon to clinch home ice in the first round of the playoffs with a win in any fashion tonight. The Blades enter on a 4-game winning streak and winners of 11 of their last 12 games. 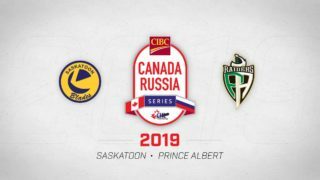 Meanwhile, the Warriors are feeling good after a 4-2 win on Saturday over the league leading Prince Albert Raiders. 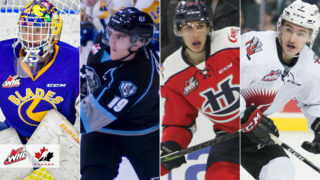 They can clinch their playoff spot with a win tonight and a loss by the Brandon Wheat Kings who are also in action in Cranbrook against the Kootenay ICE. 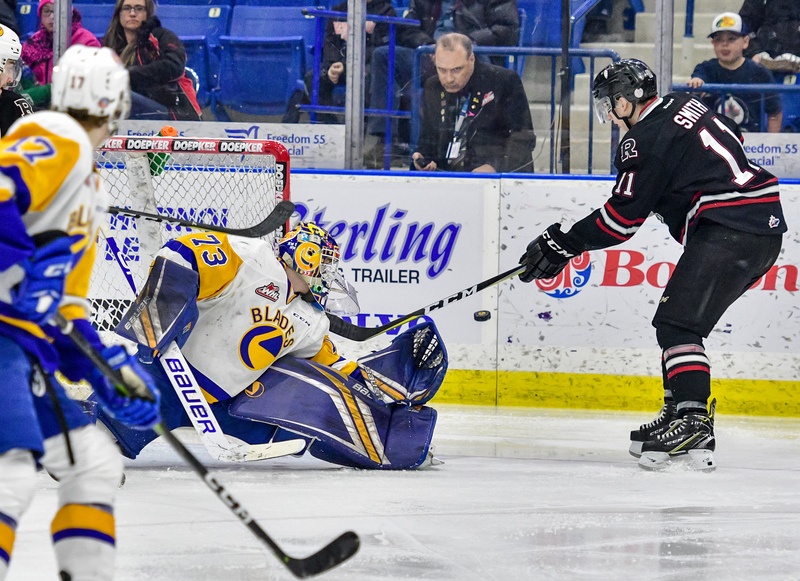 Nolan Maier made 17 saves for his 2nd consecutive shutout and 4th of the season as the Saskatoon Blades shutout the Red Deer Rebels at home on Sunday 1-0. Cyle McNabb (7) scored the only goal. Saskatoon leads the season series 3-1. The Blades are 5/15 on the power play in the series, and 4/11 on the penalty kill. 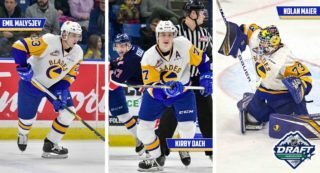 Kirby Dach leads the Blades offensively with 5 points… Tristan Langan leads MJ also with 5 points in the season series. Nolan Maier is coming off back-to-back shutouts over the weekend and has won 8 of his last 9 starts, Ryan Hughes has 13 points in his last 8 games, Kirby Dach has 6 points in his last 3GP, and Riley McKay has 4 points in his last 4 games. 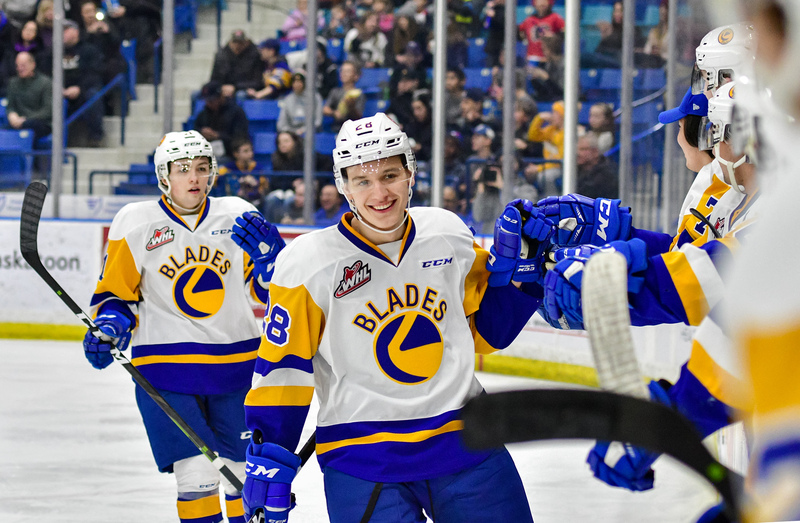 Next home action for the Blades is a weekend double header beginning on Saturday for Don Cherry Night against the Swift Current Broncos at 7:00pm at SaskTel Centre. 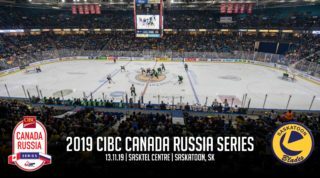 On Sunday, Moose Jaw returns to Saskatoon for the final tune up before the inevitable first round playoff matchup with the Blades.